As Much as I love Korean Dramas, I love their skin. Haha Yes!! You heard it right. I love how glowy & Healthy their skin looks. I always saw them caring too much for their skin. Always applying sheets masks, six steps skin care routine. I thought of following their routine. Trust me :P Its really hard. But still I am trying to adapt a good skin care routine. To initiate this big step, I am trying to use Korean skin care products because I heard always good review on them. 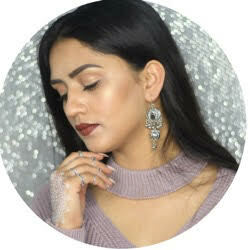 Innisfree recently launched in India and I went to their store But Price was quite high after all custom n all. So I decided to buy products directly from Seoul, South Korea. 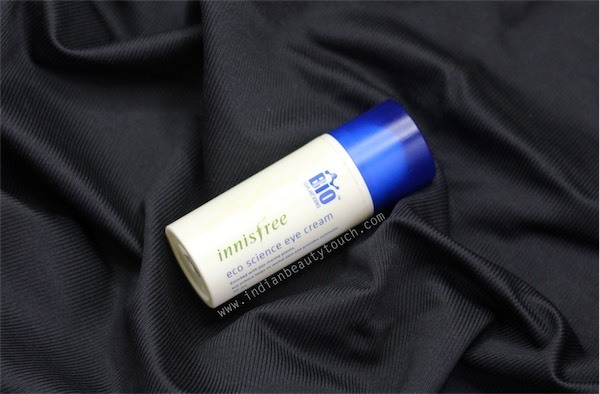 So Today, I am reviewing Innisfree Eco Science Eye Cream which I bought last year means 2017 when Innisfree was offering free shipping worldwide over $75. 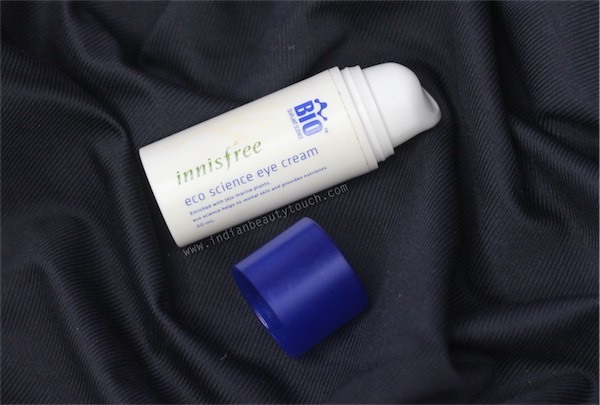 I purchased lots of products which I will review one by one But Today, Lets Dig in the Innisfree Eco Science Eye Cream. 2. Enriched, natural ingredients cover the skin's surface smoothly to quickly make skin firm and elastic. Start with Packaging, It comes in a pump white bottle with blue cap. 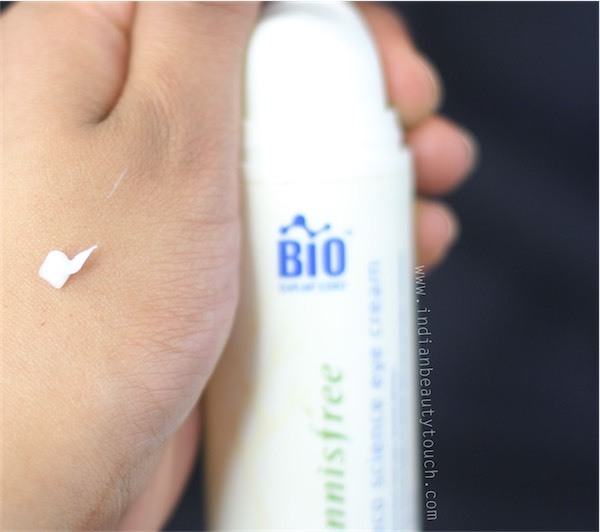 Pump only gives you dot size amount of Product which is great when you have to apply tiny amount of product under your eyes. This cream is enriched with natural anti-ageing active ingredients from marine plants and botanical extracts from Jeju Island and is said to 'regenerate skin and provide nutrients for a self-protective skin. This Eco science range is all about anti aging. I have very deep fine line under my eyes because of my sinus problems. 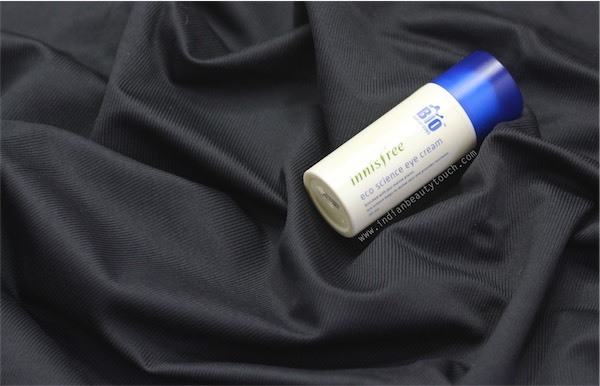 So I want to them to be less visible that is why i bought this range of product by Innisfree. The color of cream is translucent white. This cream little heavy So I only use half pump for both of my eyes. 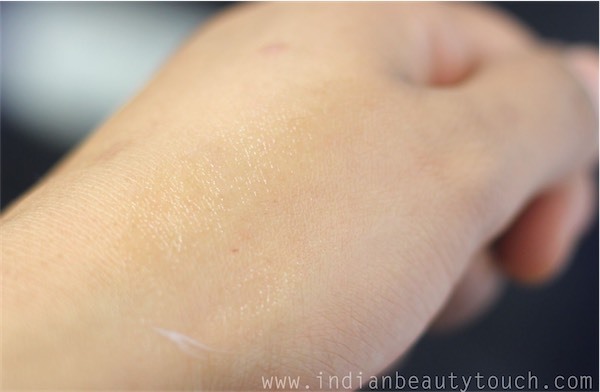 The Texture of this cream is very sticky when you applied to your skin. 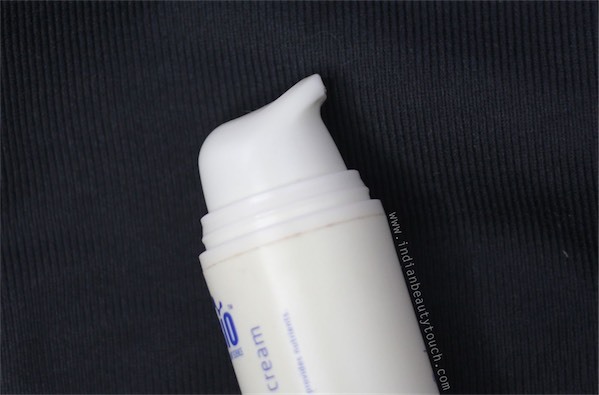 And Depending on what kind of skin you have, It may take a while for cream to absorb in skin which means If you have dry skin it will absorb faster in comparison to oily skin. I have dry skin under eye area, So It hydrates very well. It has herbal kind of mild citrus smell which goes after few minutes. I always apply this cream at my night skin care routine and when I wokeup in mornings, My under eye area looks very healthy, smooth. And My fine lines are also less visible. I am quite impressed with the cream. The cream is pricy but work wonder on me. This cream last 4 to 5 months for me. So Thats not so bad for an under eye cream.